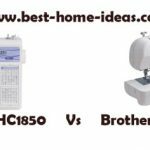 The Brother CP 6500 computerized sewing machine comes with 60 built-in stitches and 7 different buttonhole styles, both which make for lots of creative sewing possibilities whether you are working on children’s clothes, jeans, tablecloths, cushion covers or curtains. The wide assortment of decorative stitches along with the adjustable stitch width of up to 7 mm for select stitches makes this an excellent choice for serious crafters looking for plenty of creative options. The smocking, joining and heirloom stitches are great for sewing sheers and other delicate items such as bridal veils and christening gowns. The buttonholes are one-step, auto-sizing so you can create several of them within a short time. 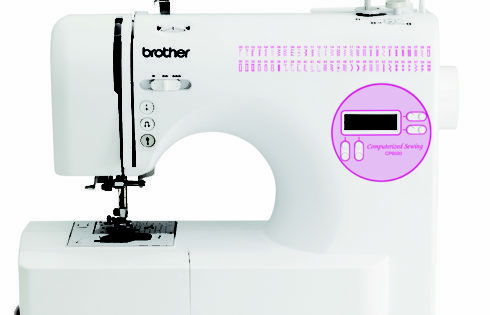 Unlike in other Brother sewing machines, the stitch reference guide in the Brother CP-6500 is placed just above the control panel. The advantage of this layout is that you can refer to it without having to take your hands off from the control panel. Sewers who have used this machine have reported that they found this feature particularly useful. 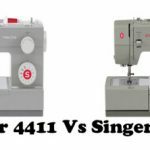 The LCD screen displays the selected stitch pattern and the current length and width settings as well as the presser foot that is needed for that particular stitch. The feed dog can be adjusted and lowered to facilitate quilting, monogramming and free hand embroidery. An Unexpected Bonus – 7 Presser Feet! Getting the additional presser feet is an unexpected but very welcome bonus. 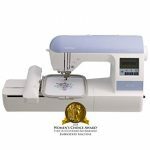 The 7 presser feet for buttonholing, overcastting, monogramming, zigzagging, blind stitching, button sewing and zipper fixing are simple, snap on style, making it easy for multi-taskers to stitch easily between projects. Pressing the leveling button, which is found on the back of the zigzag foot, allows you to climb a small hillock of fabric easily and then continue sewing consistently without bunching up or dropping any stitches. A push of a button is often all that it takes to control the machine’s setting. 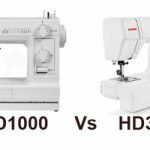 This means you get to spend more time doing what you love- sewing instead of spending a large chunk of your time setting up the machine or doing routine tasks. The Start/Stop button starts and stops the machine when the foot pedal is detached. The reverse button helps lock stitches in place. Needle Up/Down button lifts and lowers needle without the need to use the hand wheel. The only reported downside of this machine is that the tension of the presser foot is non-adjustable. From the reviews, it does not seem enough reason to put off potential buyers. 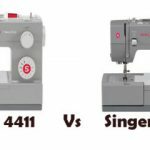 Considering it has all the features of the CS6000i but costs much less, that itself makes the Brother CP-6500 computerized sewing machine absolutely worth it! Beginners will love the easy to read manual that allows them to get started within minutes of opening the box and professionals will love the many features and functions that they get at this great price!